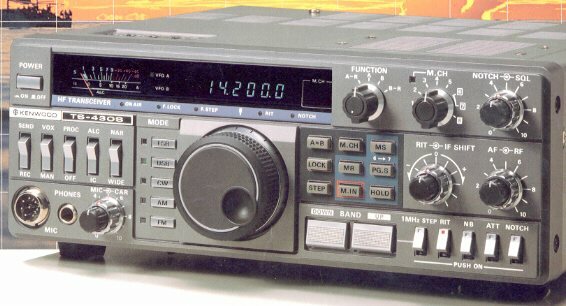 Kenwood TS-430S is designed for SSB, CW, AM and FM (optional) modes. Coverage is 160 through 10 meters including the WARC bands. All solid-state technology is inputed rated at 250 PEP on SSB, 200W DC on CW, 120W FM (optional) and 60W AM. General coverage receiver from 150 kHz to 30 MHz is featured Requires 13.8 VDC at 20.5 Amps. MC-42S hand mic included.